Dee is the firm's Consumer Fraud Section Head. Dee Miles joined Beasley Allen Law Firm in 1991 and has not only been a pioneer of consumer fraud and commercial litigation nationwide, he has demonstrated great leadership resulting in the firm’s numerous record-setting verdicts for clients in many areas of law. In addition to representing clients in litigation, Dee manages the entire Consumer Fraud / Commercial Litigation Section of the firm and is involved in every case being litigated in it. Dee is a proven leader in complex litigation on a national level. He has been appointed by federal district judges to serve in a leadership role for the plaintiffs in numerous Multidistrict Litigations (MDLs) throughout the country, charged with the responsibility of coordinating the litigation for the entire country on certain cases such as the VW “Clean Diesel” Marketing, Sales Practices and Product Litigation MDL, Chrysler- Dodge- Fiat Ecodiesel Marketing Sales Practices, Toyota sudden unintended acceleration MDL, Target Data Breach MDL, the Home Depot Data Breach MDL, the Blue Cross Blue Shield Antitrust MDL and the Takata airbag MDL, to name a few. Dee also regularly represents States Attorney Generals in various states throughout the country on a variety of litigation. Dee has settled thousands of cases for clients over the years with settlement value of almost $19 billion. He has in the past and is currently spearheading national global settlements for state attorneys general in various types of litigation, having so far recovered nearly $1 billion in settlement funds for the states’ Medicaid agencies. and State of Alaska v. Abbott (34 pharmaceutical companies). The AWP cases led to the “McKesson Litigation” in which Dee served as lead counsel in: State of Louisiana v. McKesson; State of Kanas v. McKesson; State of Hawaii v. McKesson and State of Alaska v. McKesson. and Hudson v. Alfa, $500,000 verdict. An important area of the firm’s Fraud Section work is whistleblower litigation. Under the whistleblower provisions of the False Claims Act, the whistleblower is entitled to receive up to 30 percent of any money the government recovers. This is both an incentive and a reward for the tremendous sacrifices – both personal and professional – whistleblowers often make by reporting the truth. Dee recently helped to secure a $30 million settlement agreement in cooperation with the U.S. Department of Justice (DOJ) to settle whistleblower allegations that private contractor U.S. Investigations Services Inc. (USIS), formerly the Federal Government’s largest provider of security background checks, violated the False Claims Act (FCA). Dee represented former USIS employee Blake Percival, who filed a whistleblower complaint in 2011 alleging USIS violated the FCA in performing a contract with the Office of Personnel Management (OPM) to perform background investigations of federal employees and those applying for federal service. USIS acknowledged that it was hired by the U.S. Government to conduct background checks for Edward Snowden, who leaked NSA surveillance documents to the public. USIS also performed the security background check for Aaron Alexis, a technology contractor who shot 12 people to death at the Washington Navy Yard last year. The Snowden and Alexis cases drew the USIS’s work, or lack thereof, into the spotlight and underscored Mr. Percival’s allegations. Dee has also pursued settlements for individual plaintiffs against this country’s top Fortune 500 companies. 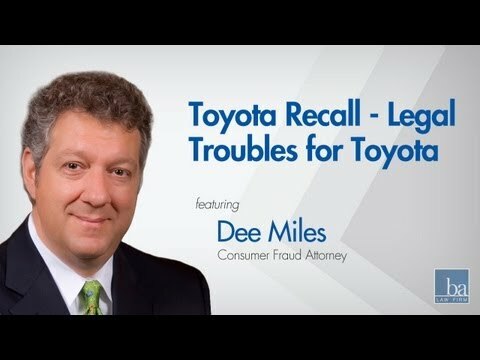 Most of these individual settlements involve confidentiality and cannot be discussed publicly, but Dee’s leadership in the consumer fraud / commercial litigation areas of law is unprecedented. A Martindale Hubbel AV rated attorney, Dee has been named in the “Who’s Who” of lawyers by the Heritage Registry; named to the 2013-2015 Lawdragon 500 Leading Lawyers; selected annually to the “Best Lawyers in America” list; selected by Alabama Best Lawyers 2015; selected to Alabama Super Lawyers and Super Lawyers for consecutive years; and was featured on the cover of and in a feature in Super Lawyers magazine in 2013, [pdf]. He was honored by the lawyers in this firm as “Litigator of the Year” in 2008. Dee also was selected as a “2013 Top Rated Lawyer in Commercial Litigation” by Martindale Hubbell and American Lawyer Media, featured in The American Lawyer, and Corporate Counsel magazine. Dee and the firm were named “Boss of the Year” by the Montgomery Association of Legal Secretaries. Dee, along with Beasley Allen principal & founder Jere L. Beasley, was recognized by Business Alabama magazine on its 2012 list of the 10 largest Alabama jury awards in the past five years, for their work on the AWP/Medicaid Fraud litigation. The litigation also was spotlighted by the National Law Journal as part of its 2014 Plaintiffs’ Hot List, in particular the Mississippi Average Wholesale Pricing ruling against Watson Pharmaceuticals. The case was one of about 360 the firm has pursued nationwide involving allegations that drug companies manipulated prices and overcharged Medicaid programs. The firm has recovered more than $1.3 billion for eight states’ attorneys general in the fraudulent pharmaceutical pricing scheme. Dee is presently a sustaining member and Executive Committee member for the Alabama Association for Justice and past president of the Montgomery Trial Lawyers Association. He is also an active member of the Trial Lawyers for Public Justice. Dee has been appointed by the dean of Samford University’s Cumberland School of Law to serve on the Advisory Board of the law school since 2006 and is a past president. In 2018, Dee was appointed to the Product Liability Editorial Advisory Board for the legal news publication Law360. Dee is a regular guest speaker at national, regional and state seminars, and he has authored numerous publications on consumer fraud and commercial litigation. He has been featured on The Today Show, NPR, CNN, USA Today, CBS, Fox News and other national news broadcasts and publications. When Dee graduated from the University of Alabama at Birmingham, he served as a corporate internal auditor for Amsouth Banc Corporation (now “Regions Bank”) from 1985-1986. Dee then entered Cumberland School of Law where he was chosen to study “Comparative International Law” at the University Heidelberg in Heidelberg, Germany in 1988. Upon graduation from law school, Dee served as a law clerk to the Honorable John M. Patterson, Judge of the Alabama Court of Criminal Appeals from 1989-1990. Dee was then asked to serve as a staff attorney for the Alabama Supreme Court under Justice Henry Steagall from 1990-1991. Dee is from Homewood, Alabama, where he met his wife, the former Sandra Turnblad, while attending Homewood High School. The two later married after they both graduated from college. Sandra and Dee have four children, two girls and two boys. They are active members of The Holy Spirit Catholic Church in Montgomery. The Roman Catholic Church has honored Dee and Sandra by inducting them into the Equestrian Order of the Holy Sepulchre of Jerusalem. The order is responsible for promoting Christianity within the Middle East and protecting the holy shrines in that region of the world. Dee was recently promoted to lieutenant colonel of that charitable organization. He is also a volunteer for the Montgomery County YMCA, and he has coached several sports teams. He has regularly raised funds for the Boy Scouts of America, Father Walter Memorial Child Care Center, Montgomery Catholic Schools, Catholic Social Services and several other charitable organizations.